Canadian Thanksgiving ideas | Fork off, heart disease! It is almost “turkey day” in my country of birth! Celebrating Canadian thanksgiving as an expat is a win-win situation, namely because it involves inviting a slew of friends over to eat great food and get rip-roaring drunk, all without the uncomfortable chaos that family gatherings can entail. No drunken uncle flirting shamelessly with your friends and no screaming children. Excellent all around. We celebrated Thanksgiving a little early this year, all without the bird of course! Unfortunately we were all so busy hoovering dinner that I did not manage to take pics. So I thought instead, I would give you some tips in case any of you might be looking for some inspiration for this year’s festivities. Isa is always cooking up something goooood! In fact, this year I made her roasted potato and fennel soup to start, followed by cauliflower and mushroom pot pie with black olive crust from Veganomicon, with a side of steamed beans, finished with a slice of pumpkin cheesecake. Divine! Isa’s got a whole “thanksgiving” category so get searching! 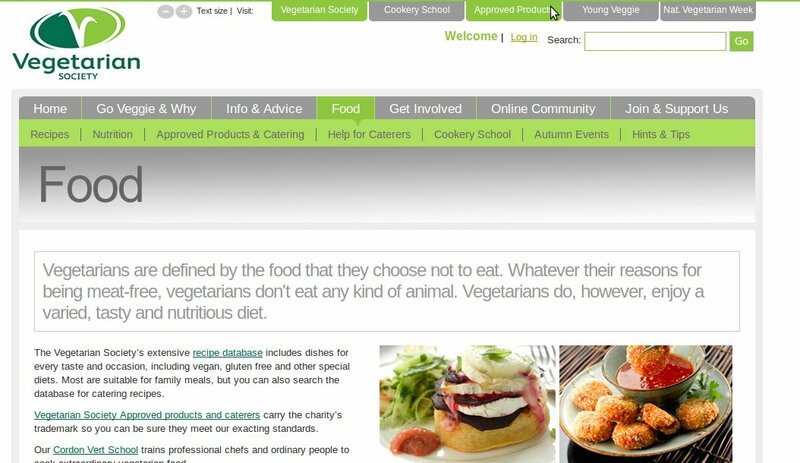 These guys have great recipes (even a cookery school called ¨Cordon Vert¨). 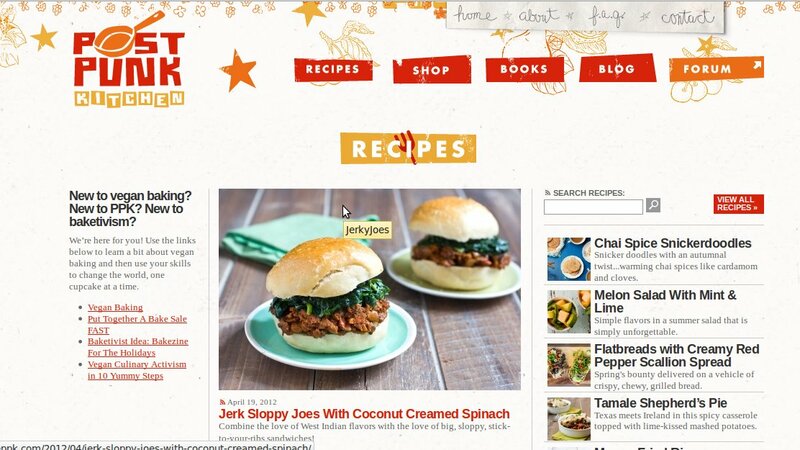 You can browse their recipe database and select for casual dining or even gourmet recipes. I have tried several of their nut roasts and they are fantastic, especially paired with a wine reduction or a creamy gravy. Or how about their awesome-looking chestnut bourgignon pie? 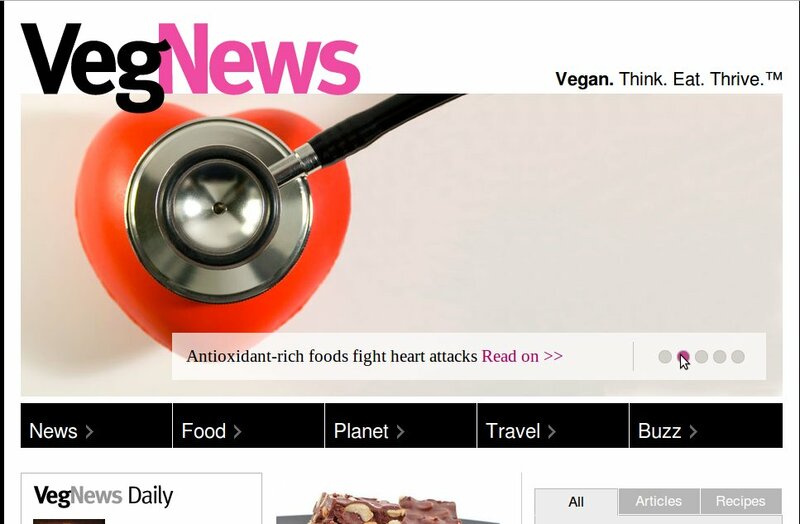 VegNews have a great recipe database as well. Search for ¨thanksgiving¨ and you will be rewarded with all sorts of great recipe ideas. For example, I insist that you try the two “cheese” lasagna. It is simply the best lasagna recipe I have ever made. EVAH. The omnivorous relatives were all over it like a rash. Oh yeah, and if anyone wants to make a vegan meringue pie for their dinner table this year, why not wow ’em with this recipe? What are your favourite animal-friendly meals for the holidays? I went quite traditional. Totally cheated on the ‘meat’ though, just using a fake turkey cutlet from the freezer section of the health food store on the corner. Otherwise, it was all Isa (and a little Terry)… polenta stuffing and chickpea gravy from AFR, and shredded parsnip and beet salad in pineapple vinaigrette from Veganomicon. Peas and mashed potatoes. Easy peasy, tasty, and classic.